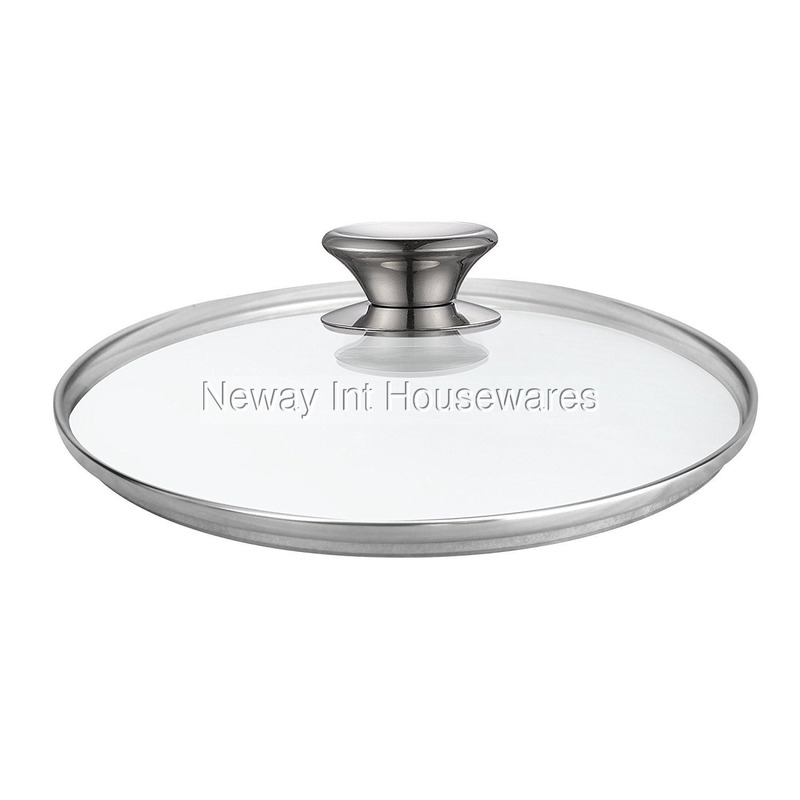 ​The Cook N Home 11"/28cm tempered glass lid cover with vent, metal handle, Clear is made of tempered glass to view food easily and retains heat/moisture. The lid is protected by a stainless steel rim to create a seal and has a steam vent. Metal handle with guard lasts, stays cool, and is comfortable to hold; oven safe to 350F. The lid fits 11 inch of inner edge pots and pans, nonstick and not nonstick. Glass lid measurement is size of inner edge to edge. Please measure the inner edge opening of pot/pan for Compatibility; not outside edge. Dishwasher safe and easy handle assembly with a screwdriver. Measures 11 x 11 x 1.9 inches, 1.6 lbs.